The only thing you can't have in Logan's world is your 30th birthday. Unless you run away. The year is 2274. Humans are no longer in control of their destiny. Civilization is now in the hands of a computer system that maintains life and order. Each person must go through a mandatory rebirth called Carrousel after turning 30. Citizens cannot avoid being extinguished and renewed unless they escape. Everyone is implanted at birth with a tracking chip. Runners are sent to hunt down fugitives. Logan 5 discovers that the computer is hot on the trail of the fugitive Sanctuary. Runners are under orders to destroy it. 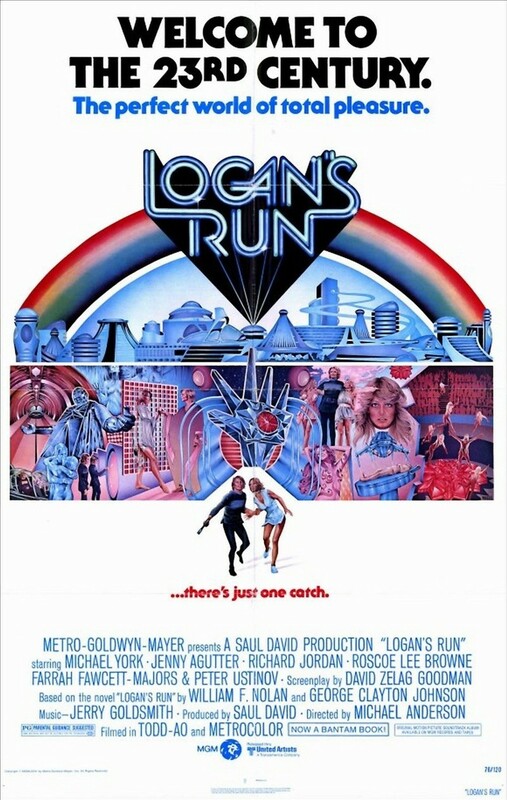 Logan is forced into becoming a runner to save himself from destruction. He and his girlfriend, Jessica, set out to find Sanctuary. This quest takes them to the ruins of Washington, DC. where they make a shocking discovery.